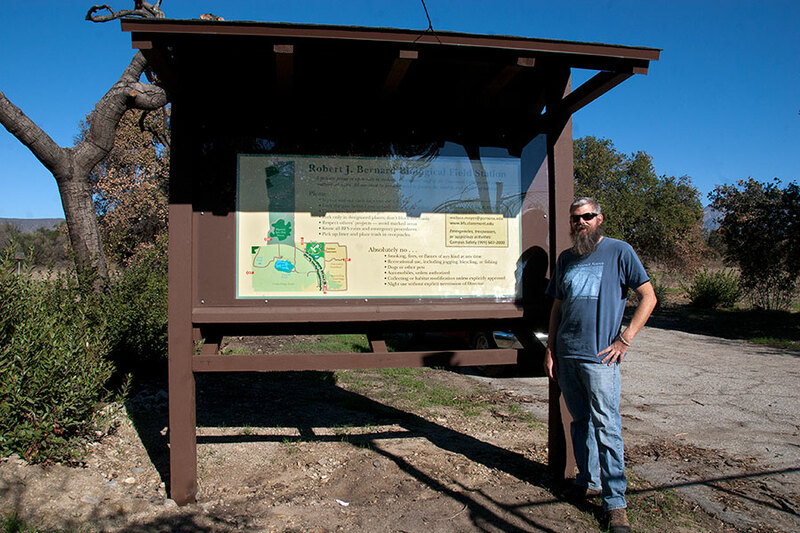 The kiosk that normally greets visitors to the BFS with an informative map and an overview of rules for BFS was destroyed in the Foothill Fire, but we’re happy to report that it has now been restored. BFS Director Gene Fowler with the first version of the entry sign, September 2001. ©Nancy Hamlett. 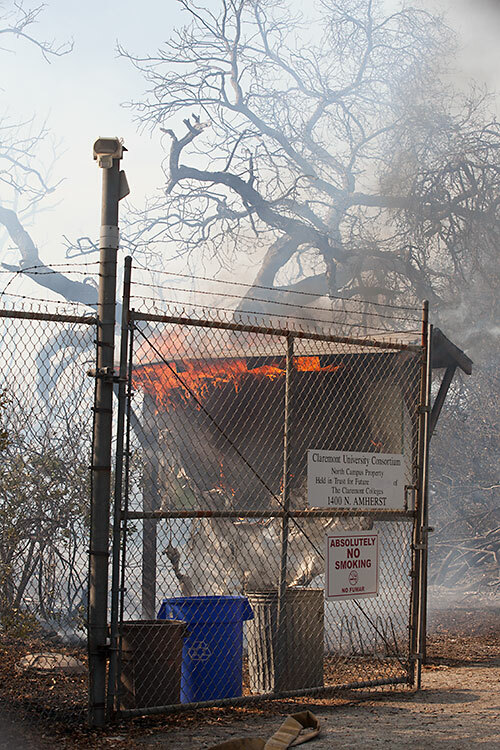 The kiosk burning in the Foothill Fire, September 11, 2013. 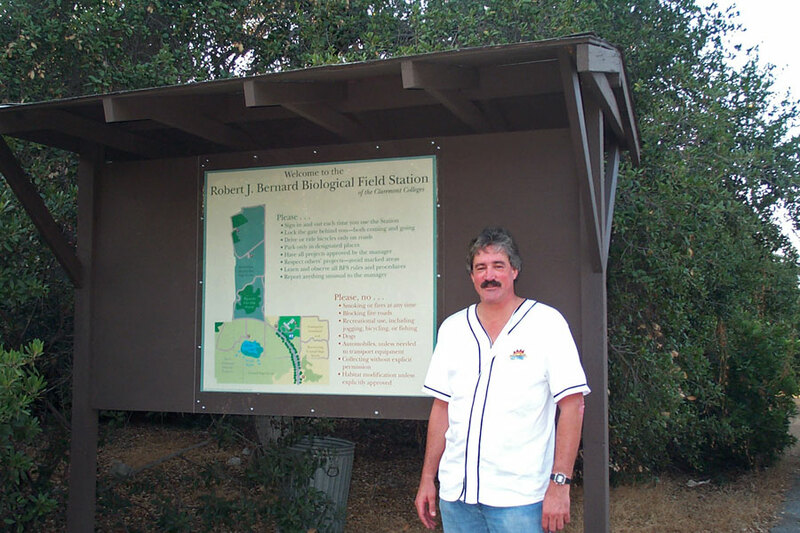 ©Steven Felschundneff. Used with permission of the Claremont Courier. 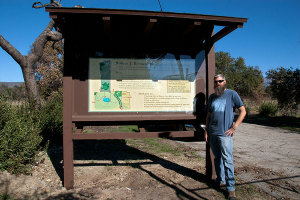 BFS Director Wallace (Marty) Meyer by the newly restored kiosk and sign. ©Nancy Hamlett.